Insurance companies are diligent about collecting your premiums every month. Unfortunately, they are equally determined to avoid paying accident compensation whenever possible, even for legitimate claims. When an insurance company's bad faith denial of benefits due to you forces you to resort to litigation, having an aggressive, experienced lawyer to represent you can make all the difference to the outcome of your case. If you have been injured in an auto accident, the Law Office of James J. Stone in Honolulu can help you secure the compensation you deserve for past and future medical expenses, lost income, pain and suffering, disability, disfigurement, and emotional distress. 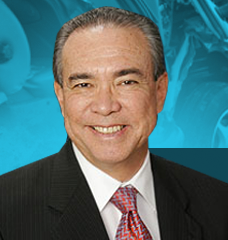 Experts support your case: We bring in top experts such as trauma doctors, chiropractors, forensics engineers, mechanics and collision reconstruction analysts to help build your case and obtain the best possible settlement. We find that it is a great advantage to have articulate experts deliver compelling testimony about the cause of your accident and the extent of your injuries. Serious About Helping You and Your Family: Personal injury law holds people, businesses and other organizations responsible for the harm they cause others. The Law Office of James J. Stone aggressively represents clients who are injured or have lost a loved one due to the reckless, negligent or unsafe actions of a doctor, driver, property owner or manufacturer. We provide personal, focused and aggressive representation from initial consultation until final resolution of your case. In your personal injury case, we strongly pursue the compensation you will need to cover the following: -Present and future medical expenses -Present and future wages and benefits -Funeral expenses -Pain and suffering -Property damage -Loss of enjoyment of life -Loss of love and affection -Punitive damages - the amount the defendant should be punished for intentional acts of negligence Types of personal injuries: Some injuries are permanent or require long-term medical care. The Law Office of James J. Stone has helped clients and their families suffering from personal injuries that include: -Burns -Brain injuries -Head injuries -Spinal cord injuries -Amputations -Broken bones -Scarring -Post-traumatic stress disorder -Emotional and mental distress -Paralysis -Building strong cases on your behalf We work tirelessly to get you the help you need to offset the effects of your accident so you can move on with your life. The types of personal injury cases we handle include: -Wrongful death -Medical malpractice -Auto accidents -Motorcycle accidents -Bus accidents -Truck accidents -Pedestrian accidents -Premises liability -Slips and fall accidents -Elder abuse -Nursing home abuse We build a strong case on your behalf with the help of professionals such as accident reconstructionists, medical and other experts. We routinely deal with investigators and insurance adjusters, substantiate evidence and evaluate damage. We know when our client's best interests are served by settling and when to take a case to trial. James J. Stone was born and raised in Honolulu, Hawaii and is thoroughly familiar with Hawaii's multiple cultures and the needs of Hawaii's residents and visitors. He attended St. Louis High School and graduated from the University of Hawaii. He was a member of the first graduating class from the University of Hawaii's school of law.